Skinner Swimming Pool Replastering offers many pool and spa related services. Here is a list of a few of the services we offer. Please contact us if you have any other pool related service needs, we can either help you or provide a quality referral to another company. Pool Replastering: The plaster on pools needs reapplication after years of use. Skinner has been doing this process for over 62 years. We’re the ones referred most by other companies. Pool Replastering and Pool Tile: Very commonly, after years of use, the plaster and tile on swimming pools deteriorates. We are one of Southern California’s top choices for these services. 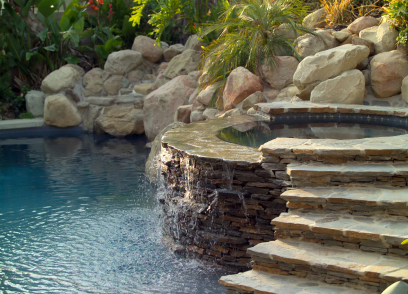 Coping, Tile, Decks Plumbing, Equipment & More: If your pool is in need of repair or you’re simply ready to update your look, we are your pool service company.